The practice of landscape architecture can be traced back throughout history to its founder, Fredrick Law Olmsted. Notably, Central Park is one of his most famous designs. The art of creating outdoor spaces continues to evolve through time and is endemic to each specific region. 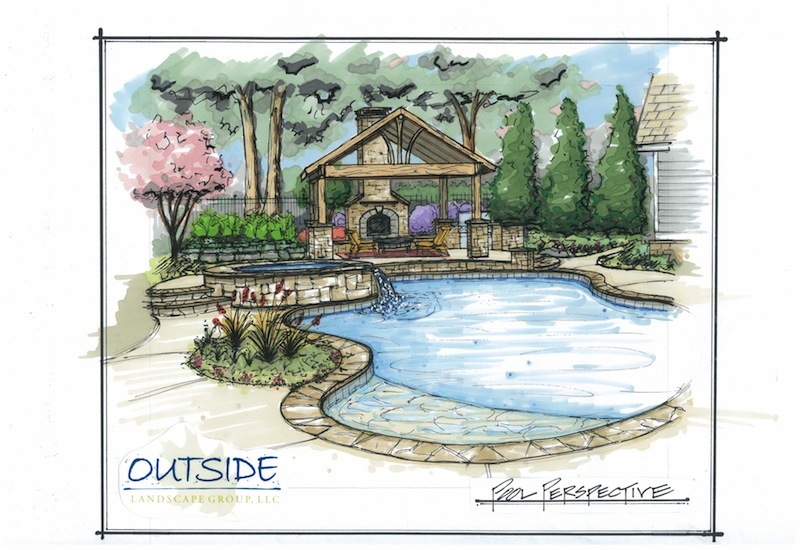 At Outside Landscape Group in Alpharetta, GA we use the design principles and techniques that have evolved over time as a foundation of what makes our process so successful in today’s Metro Atlanta area. We firmly believe that the most beautiful and functional landscapes in the world all begin with a common thread of quality design. Our guiding principle of project development is for design to lead the way. We sit down and talk with you, performing a full evaluation of your landscape priorities, and educate you on how they all work together to achieve the desired outcome. By conducting a professional site analysis, our process allows us to better understand each client’s specific site conditions. As a result, our out-of-the-box creativity and years of landscaping experience allows us to present a landscape solution that is unique to each client’s program, which translates into a successful project. 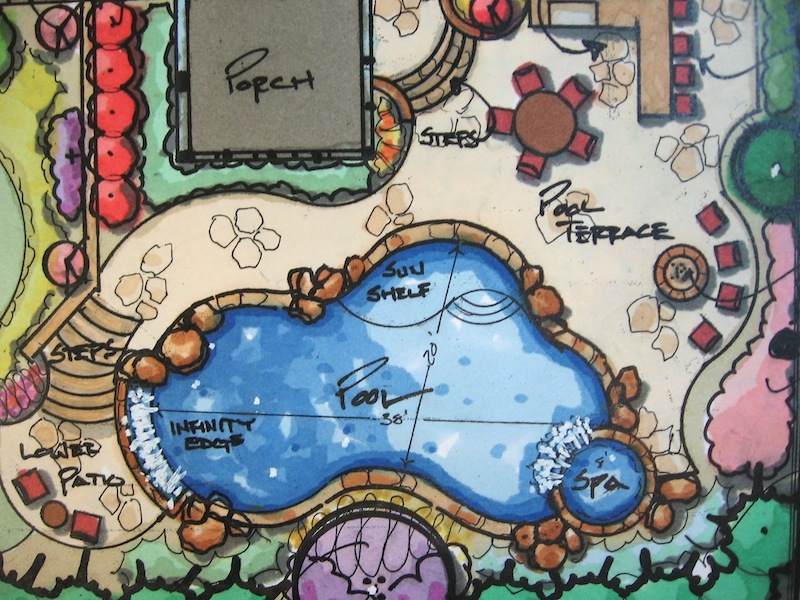 Not all landscape plans are created equal, and it is often a challenge for homeowners to recognize quality landscape architecture on paper. 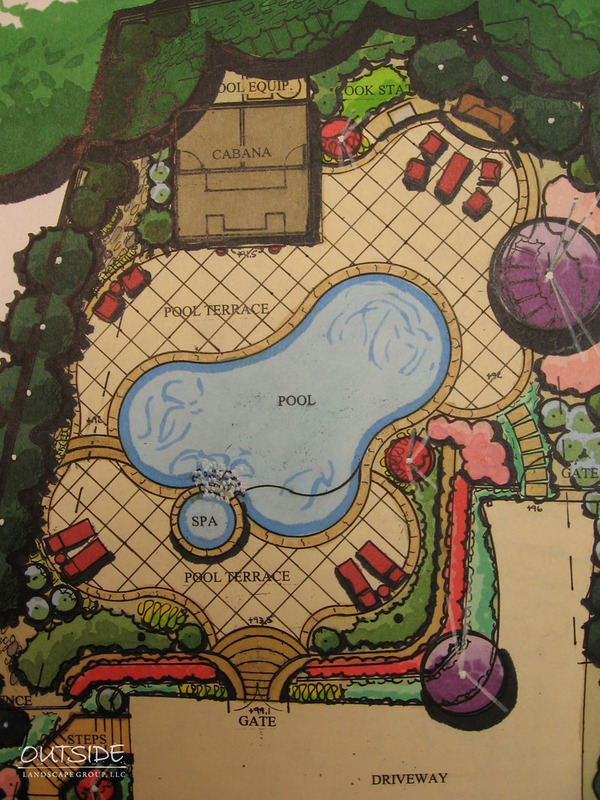 Our formula for successful landscape plans is simple. First, our staff members are talented and creative. 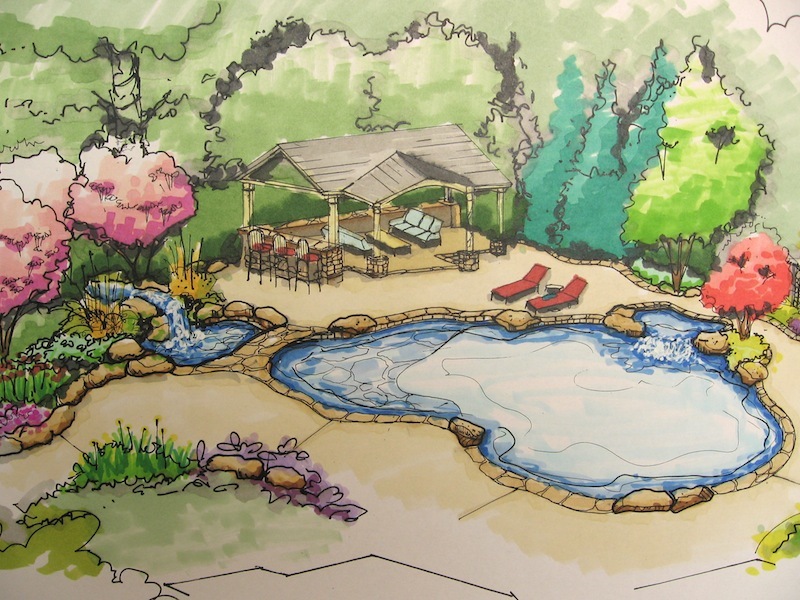 Our design team has been schooled and trained in landscape architecture and they have a proven track record in landscape design and construction. Second, we recognize the importance of creating plans for you, not for us. We are making your dreams real, not ours. Lastly, we develop plans that are realistic for you, where an appropriate budget is established during design development. Budget guidelines assist in keeping the planning process efficient and establish priorities to the design elements. The design process starts with a detailed site visit and analysis to establish the existing conditions and to create a base plan that reflects a realistic view of your site and all its variables. 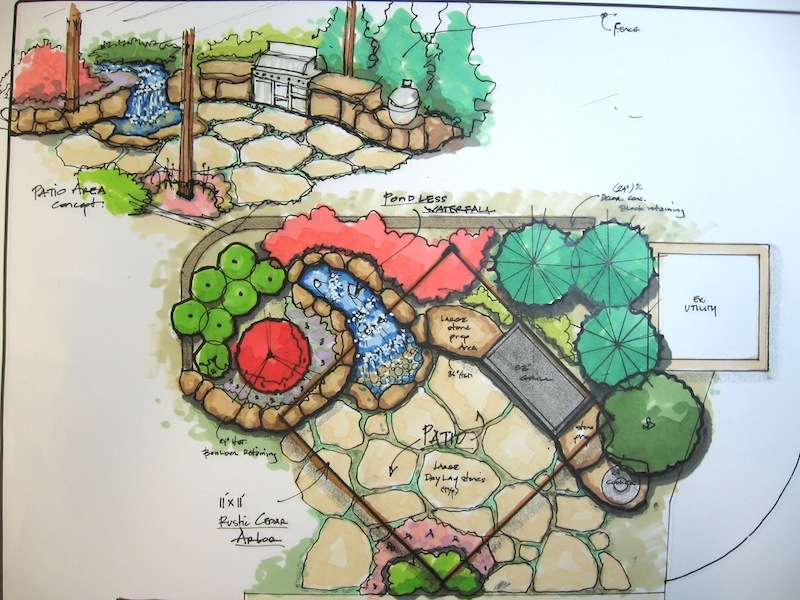 Then we begin creating a custom landscape design that addresses all your needs and takes into account your site’s unique conditions. We present the concepts and, upon your feedback on design and budget, we work toward a finalized plan and proposal for construction. The final plan is an architectural rendering, complete with samples and photos, that conveys the design intent and specifies all construction elements and materials. Along with the master plan, a detailed proposal is provided, summarizing all the project’s elements and specifics. Outside Landscape Group is sought after in the Alpharetta & Atlanta area because of our successful reputation in residential landscape development, and although it is the entire process that brings dreams to reality, it is the design that leads the way. We would love the opportunity to sit down and discuss your project with you, and provide you with some design direction for your project. Give us a call today to schedule your complimentary evaluation and no-obligation consultation.